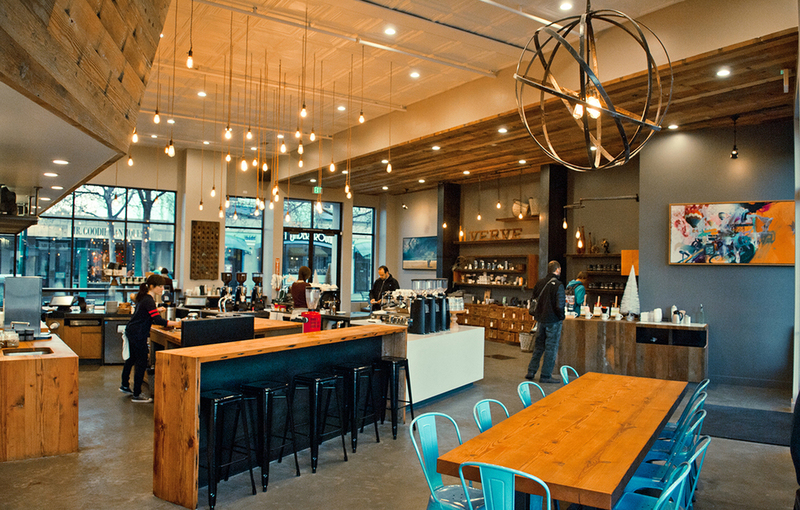 In the heart of downtown Santa Cruz, the design for this cafe and retail space for Verve Coffee Roasters arose from the refined and thoughtful approach that Verve takes to their own product. Reclaimed wood left over from the Seabright Roastery wraps the service area, storage, and bathrooms, giving shape to the space while drawing a connection to the Verve production process. The clean, modern lines of the counter lends an elegant contrast to the rustic finish of the wood.